The trench itself weights 21lbs 7oz. 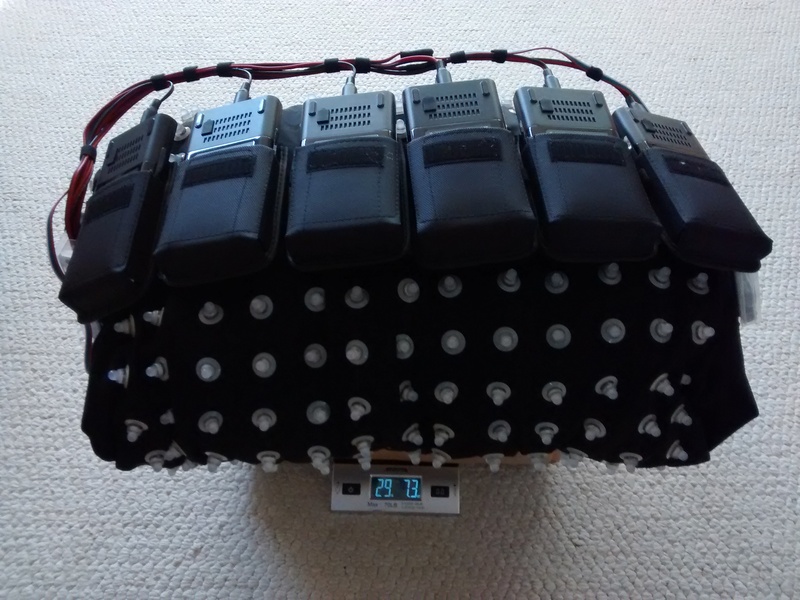 The belt, computer, cbox, pouches, wires and batteries make up the rest of the weight. That’s some cargo. It’ll be interesting to see how long I can actually carry that much weight around. I’m up for finding out! The Anthrolume 4.0 trenchcoat fabrication is very close to complete. Here I detail the new power belt I’ll be wearing under the trench. So as you can see, I can’t run the suit at full brightness, but even at quarter brightness it is plenty bright. I should be visible from at least a mile away.